In 1953, the creation of Petrobras contributed not just for the Brazilian oil policy and economy, but also for the creation of a department focused on the research and exploration of oil in the Brazilian territory. Created in 1955, the Department of Exploration—DEPEX was divided in and performed by local districts situated in basins with oil potential, all directly subordinate to the Chief Superintendent, the North American geologist Walter Karl Link (1902–1982). It is necessary to point out the importance of the investments of Petrobras, and mainly of the Department of Exploration, in the laboratories of paleontology, stratigraphy, and subsequently in sedimentology. In the 1950s, the first Paleontology Laboratories were situated in Belém (Pará State), Ponta Grossa (Paraná State) and Salvador (Bahia State), and incorporated by these districts. Huge advances in scientific and technical expertise related specifically to micropaleontology were achieved. Professionals of the company performed their activities during this period, in particular the Brazilian paleontologist Frederico Waldemar Lange (1911–1988), who started developing the first studies on microfossils in 1955, mainly chitinozoans. From 1958 onward, we also have in the lab in Belém, the Danish Johannes Christian Troelsen (1913–?) and the German geologist and micropaleontologist Karl Krömmelbein (1920–1979), who continued their researches on foraminifera from the coastal basins in the north and in the northeast. The activities of the professionals continued to expand, contributing significantly for oil field research. Since the beginning, Petrobras invests in the qualification of his own labor force with courses and internships abroad. As two specific examples, we have the advanced course in micropaleontology, offered by the “Centro de Aperfeiçoamento e Pesquisas de Petróleo”—CENAP/Petrobras (Improvement and Oil Research Center), in 1961—with 6 months of duration, and the internship in micropaleontology (foraminifera and nannofossils, in oil companies abroad), in 1968. 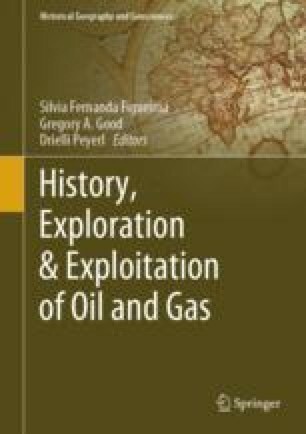 Thus, this summary confirms the first steps of the paleontological researches, highlighting the technic and scientific improvements of micropaleontology in the Brazilian development of oil exploration. Drielli Peyerl thanks especially the current financial support of grant Process 2017/18208-8 and 2018/26388-9, São Paulo Research Foundation (Fundação de Amparo à Pesquisa do Estado de São Paulo—FAPESP) and also to Linda Hall Library for primary sources used in this paper and the Residential Fellow between September and November 2017, and she gratefully acknowledges the support from SHELL Brasil and FAPESP through the “Research Centre for Gas Innovation - RCGI” (Fapesp Proc. 2014/50279-4), hosted by the University of São Paulo, and the strategic importance of the support given by ANP (Brazil’s National Oil, Natural Gas and Biofuels Agency) through the R&D levy regulation. Elvio Pinto Bosetti (Process 311483/2014-3) is grateful to Conselho Nacional de Desenvolvimento Científico e Tecnológico (CNPq) for the Produtividade em Pesquisa fellowship.